Comments: Ebony Twilight Metallic 2016 Buick LaCrosse Premium I Group 3.6L V6 E85 Flex Fuel SIDI DOHC VVT 6-Speed Automatic Electronic with Overdrive AWDOdometer is 16254 miles below market average! 17/26 City/Highway MPGAwards:* 2016 KBB.com Brand Image AwardsTasca Chrysler Dodge Jeep Ram is a Fourth Generation Family Owned and Operated Business. We Live here, we Employ People here, and we have been Proudly Serving the Families of Rhode Island, Massachusetts, and Connecticut since 1943.At Tasca Chrysler Dodge Jeep Ram We Set Out to Change the Way you Shop for and Own Your Next Car. 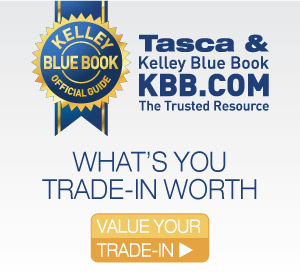 Here is The Tasca Advantage:*TRANSPARENT, FRIENDLY, HELPFUL SALES STAFF! *BEST TEAM OF FINANCE MANAGERS IN NEW ENGLAND! THEY ARE GREAT WITH NUMBERS AND EVEN BETTER WITH PEOPLE! CREDIT CHALLENGED? GIVE US A TRY! *MASSIVE INVENTORY OF NEW AND USED FOR ONE STOP SHOPPING! *FACTORY TRAINED CDJR TECHNICIANS AND FREE CAR WASH WITH ANY SERVICE!The Tasca Family Commitment is that YOU WILL BE SATISFIED!! !